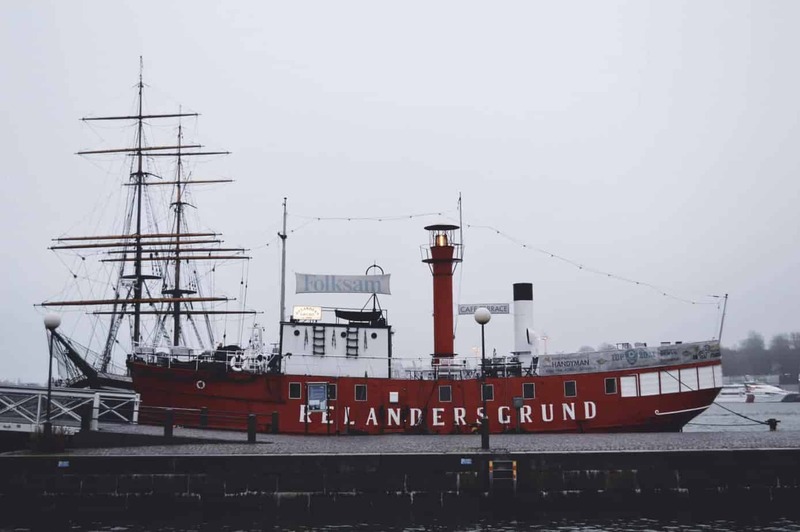 In November 2015, I spent six days traveling solo through Scandinavia to three capital cities and spent a total of USD $883.39, including all airfare, accommodations, museums, food/drinks, and shopping. I did not create a budget for this trip beforehand as it was a last minute trip that I knew I wanted to take regardless of cost. 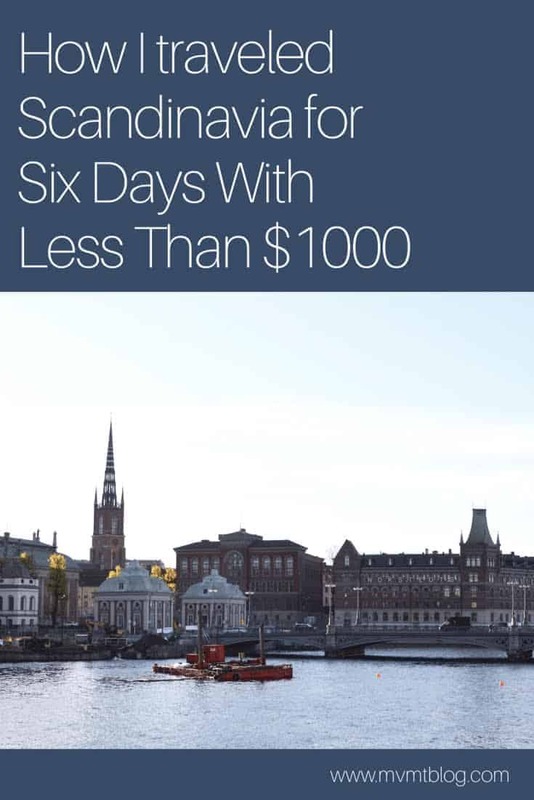 I had decided last minute to switch jobs and wanted to take advantage of the transition period to travel more “extensively.” As I have had so many readers ask me about the cost of traveling Scandinavia during our Scandinavia series last month, I decided to put together this cost analysis of how I traveled Scandinavia for six days with less than $1000. In the cost breakdown below, I will highlight areas I’m glad I splurged on and areas where I wish I would have skipped or planned better to save money. 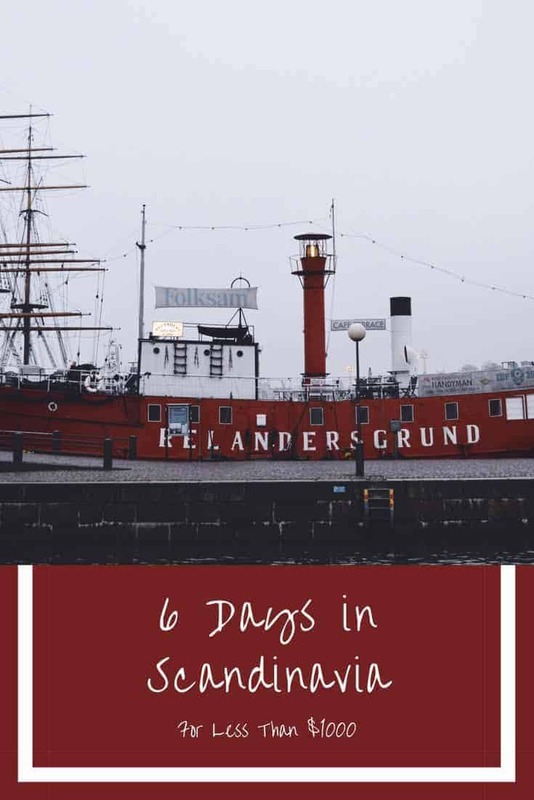 Since I had a limited amount of time in Scandinavia, I decided to fly between each of my destinations, rather than take the train, in order to save time on the road and give myself more time to explore the cities. Once I arrived in each city, I walked everywhere for the most part. The only non-flight costs I incurred for transportation were for the ferry rides between Suomenlinna and mainland Helsinki and the bike rental in Copenhagen. All in all, I think I did a great job with keeping transportation costs low. I have been collecting airline miles through American Airlines for years and have racked up more miles than I’m able to use while working a full time job. In order to get a cheap flight to Scandinavia, I used my miles and found a flight from Chicago to Helsinki for USD $167.20 roundtrip. I did have a layover each way but was actually able to take advantage of this by spending a few hours relaxing in Paris on my way there and spending a day in Berlin visiting a friend on the way back. I would highly recommend finding longer stopovers in different cities if you can because it’s essentially a free flight to another city. Also, if you have not yet signed up for a travel credit card, either through a specific airline or through a general rewards program, you need to get on that ASAP! Flying with miles has saved me so much money on my trips and is a big reason I am financially able to travel so often. If you are unable to fly with miles, however, I would recommend checking out Skyscanner and Expedia for the best flight deals. I flew Norwegian Air from Helsinki to Stockholm on a Tuesday, which is the cheapest day of the week to fly. My one way flight cost USD $32.80. Although Norwegian Air is labeled a budget airline, it is nicer than some non-budget airlines I’ve been on. I would happily fly Norwegian Air again, especially with its low costs. I booked this ticket pretty last minute and was still able to find a relatively cheap flight from Helsinki to Stockholm. I flew Norwegian Air again from Stockholm to Copenhagen. My flight cost USD $55.80, which is a little more than the cost of my flight from Helsinki to Stockholm, but I can’t complain considering how last minute I booked this. Had I been able to plan ahead farther in advance, I may have been able to save some money on this flight. 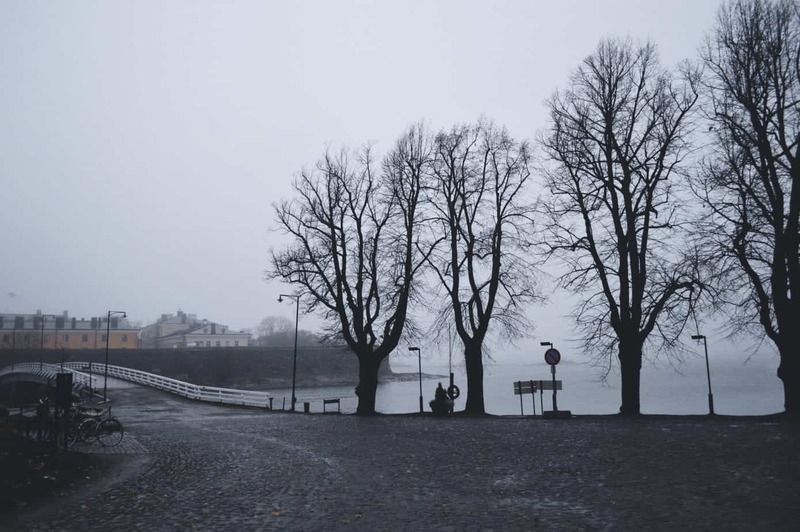 Although I prefer to walk everywhere when I travel, I didn’t have much of an option when it came to traveling between Suomenlinna, where my hostel was located, and mainland Helsinki, where most of the attractions I wanted to see could be found. You can buy ferry tickets at the ticket machines right outside the ferry terminal. A one way ticket costs €2.70 (USD $2.98), or you can buy a 12 hour pass for €5.00 (USD $5.53). Although I was in Helsinki for two days, I only purchased two 12-hour passes, which cost me a total of €10.00 (USD $11.05), since I timed my trips within the 12 hour time frames. 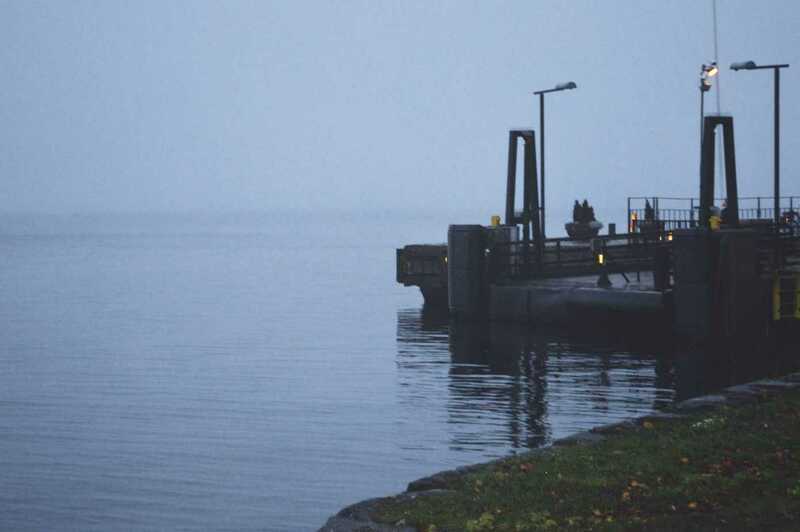 The ferries operate exactly on schedule, so don’t think you’ll be able to catch it if you show up a few minutes late. Follow the timetable posted online, and show up on time (or with time to spare). The ferries were very nice, with two indoor sections on each side of the main walkway, and outdoor areas as well if you prefer to stand outside. You can also bring your car on the ferry, although you will need to book online in advance if you are planning to bring your car because each ferry can only carry 1-2 cars. If you’ve got a bike or other small transport, you can bring it on the ferry with you without booking in advance. When I was in Stockholm, I met two travelers at my hostel who were also headed to Copenhagen the next day, so we decided to meet up in Copenhagen and tour the city together by bike. Copenhagen has one of the strongest bike cultures of any city in the world, so we thought, what better way to experience Copenhagen like a local than to see the sights by bike? We rented a bike for an entire day, which set us back USD $16.47 each. 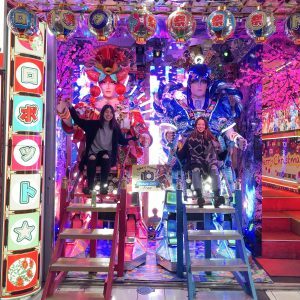 For the most part, I stay in hostels when I travel, and this trip was no exception. I stayed for two nights each in Helsinki, Stockholm, and Copenhagen. In each hostel, I stayed in a co-ed 7- or 8-bedroom dorm room. Overall, I’d say I did a pretty good job with keeping costs down for accommodation. The only way I could have reduced my accommodation expenses would be to book earlier, book hostels farther from city centre, or find hosts on couchsurfing. 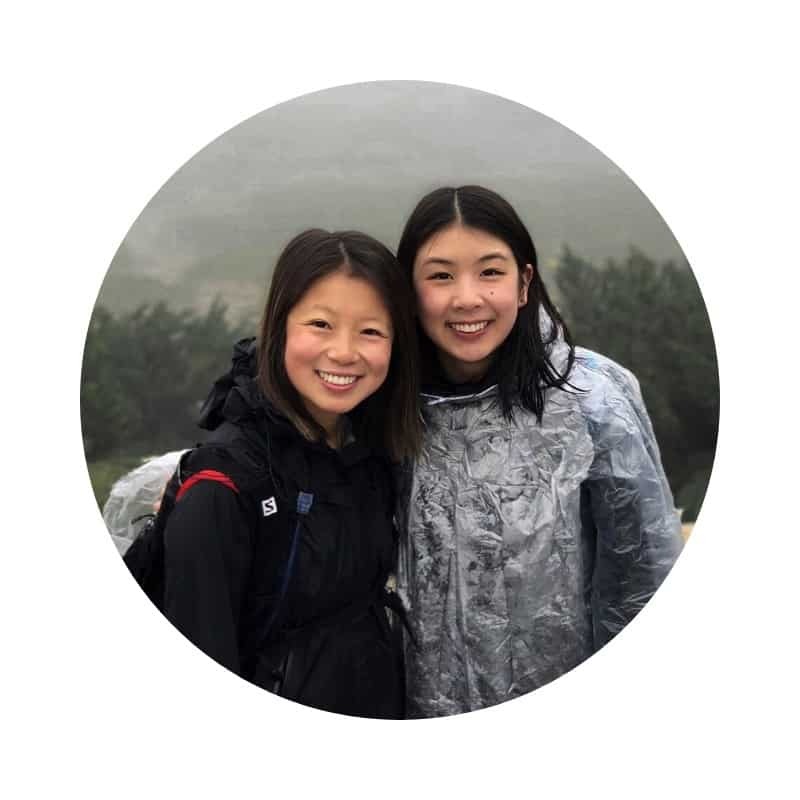 However, I prefer to stay at hostels when I travel solo because it feels safer than staying with a single host on couchsurfing, and it provides me with an opportunity to meet more people, which is always a plus for me when I’m traveling solo. 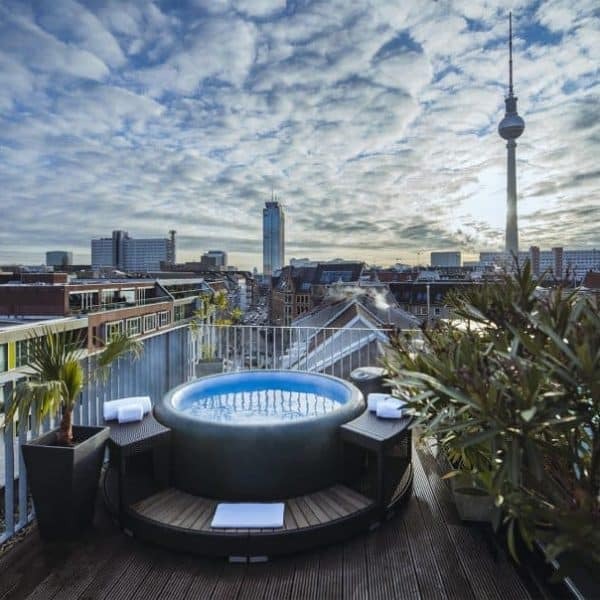 Alternatively, staying at a hostel farther from city centre would likely have increased my transportation expenses since I wouldn’t be able to walk everywhere, so resorting only to hostels in great locations is not an unnecessary splurge in my books. I stayed at the Suomenlinna Hostel on the beautiful Suomenlinna sea fortress island, which is also a UNESCO World Heritage site. My 7 bed co-ed mixed dorm room cost €49.97 (USD $55.24) for two nights. By the time I decided I would be traveling to Helsinki, all of the reasonably priced hostels in Helsinki had been booked, except for this quiet hostel in Suomenlinna with a cozy cabin-like feel. 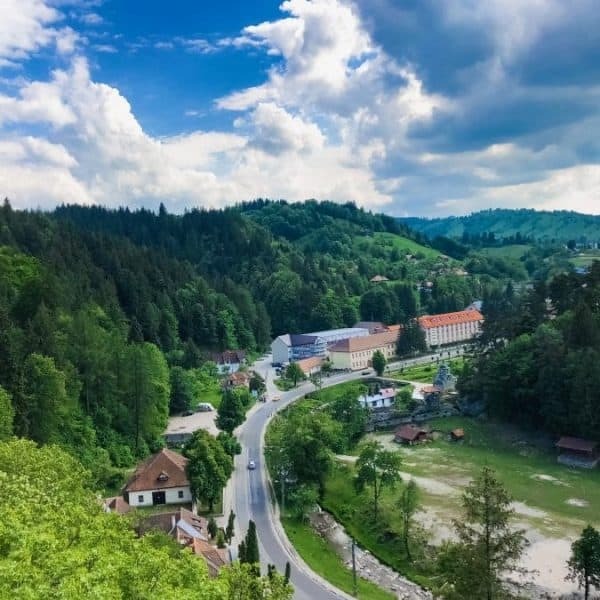 I would recommend it to someone looking for a more off-the-beaten path, quiet hostel, but for those looking for a party atmosphere or a place to meet and socialize with other travelers, this hostel may not be your best option. I did like how I was able to pay for my stay via email even after I had left Helsinki because I had arrived late at night and was too busy out exploring Helsinki to remember to check in and pay for my stay. I stayed at the City Backpackers Hostel, one of my favorite hostels in the world. My 7 bed co-ed dorm cost SEK455.61 (USD $50.81) for two nights. I couldn’t believe this steal! I was not expecting to find a hostel for less than USD $30 per night, and certainly not in a hostel as clean, fully equipped, and welcoming as this hostel. You can read my full review of City Backpackers Stockholm here. 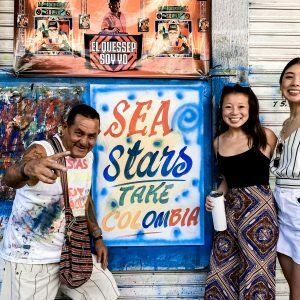 I would recommend this hostel to anyone, but especially to solo travelers looking to meet other travelers, as the community aspect of this hostel is fantastic. Food and drink are expensive in Scandinavia. My best advice for avoiding spending all your money on food is to stay at a hostel with a kitchen and buy groceries to cook yourself. In Copenhagen, I found some cheaper areas such as Christiania, and tried to eat my meals there. In Helsinki, on the other hand, I was unable to find any cheap areas, so each meal ended up being a splurge unless I resorted to the grocery stores. The food in Helsinki is expensive, and you really have to try hard to find something cheap. Do not assume that just because you’re getting a plate of cold, dry food that you must not be paying much for it. 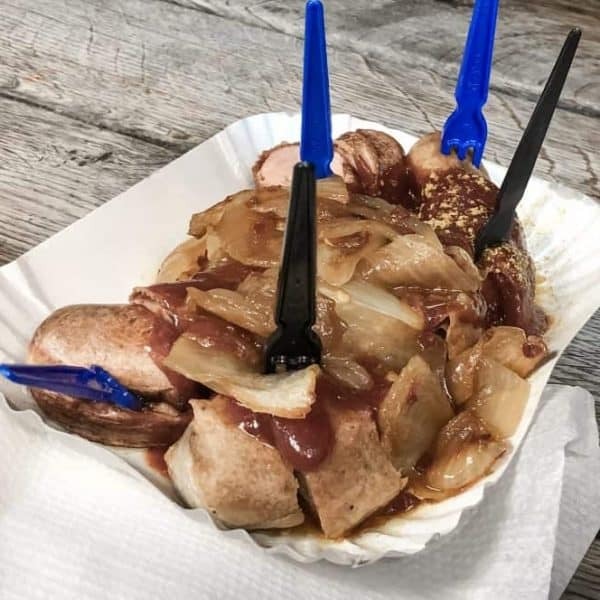 My best tip is to check the prices on the menu before you order anything, and try to stay at a hostel with a kitchen and buy groceries from the grocery store to cook yourself if possible. 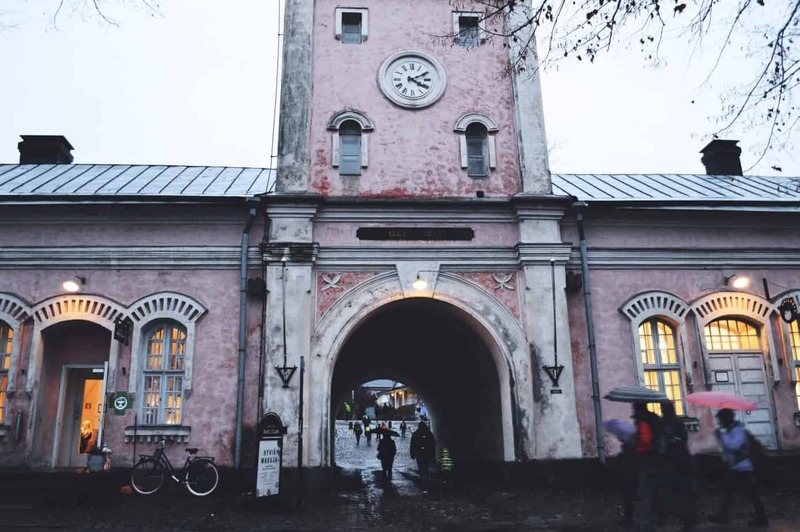 Grocery/convenience stores: USD $19.75 – I visited the supermarket a few times in Helsinki to buy water, snacks, and toiletry essentials I had forgotten at home. Viaporin Deli and Cafe: USD $15.58 – This is the cafe/restaurant/brewery on Suomenlinna island that I mentioned in my Suomenlinna post. The brewery was closed when I went, but the cafe served several of the beers they brewed locally. I ordered one of their home-brewed beers and a large bowl of tomato bisque soup that was just what I needed on a cold Finnish day. 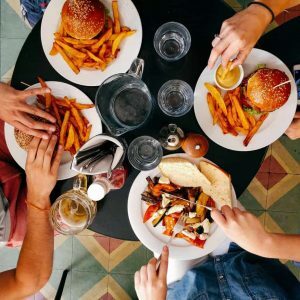 Fazer: USD $21.68 – This was probably the worst food splurge on my entire trip. I was desperately looking for breakfast on a Sunday morning, but nothing was open. It also happened to be Father’s Day that day, so that limited my options even more. Finally, I found a breakfast place that was open and looked pretty casual, so I went inside without even checking their prices, thinking it couldn’t be too much since the breakfast buffet looked like it was just bread and yogurt and other cold foods. Boy, was I wrong. I ended up paying over $20 for this meal, and it was probably the least satisfying $20 meal I’ve ever had. I would for sure skip this. Molly Malone’s: USD $8.52 – I met a friend at this cute Irish pub on my last day in Helsinki. There was live music and good beers, and that’s all I can really ask for. The wait staff was very relaxed and casual. This was a good spend. HKI+: USD $10.90 – I had a big bowl of pho here right before I departed for Stockholm. I could have done away with a cheaper meal, but this really hit the spot, and anyone who knows me knows my obsession with pho. I would do it again. I definitely splurged a bit on food in Stockholm, but the local dishes I splurged on were entirely worth it. A trip to Stockholm is not complete without a meal of Swedish meatballs, and the laxpudding dish I had was to die for. The beers were extremely pricey, but I don’t regret that either as it was one of my most memorable hostel bonding experiences. I could have saved entirely on food on this trip had I taken advantage of the free dry pasta available at my hostel, but like I said, I don’t regret the spend. 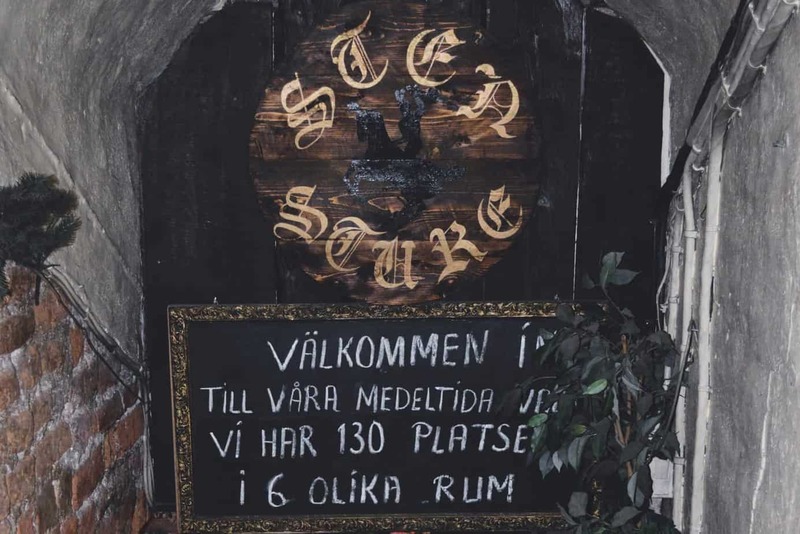 Cafe Sten Sture: USD $14.45 – This is an old underground prison that has since been converted into a restaurant that serves traditional Swedish food. I saw a sign outside for Swedish meatballs and of course could not resist. The meal was a bit pricey, but I would recommend it simply for its atmosphere. Robert’s Coffee: USD $3.34 – Sometimes when you’re traveling, you just need a cup of joe to keep you going. Cafe Co: USD $3.70 – Or two. Schweizerkonditoriet: USD $14.45 – I had the most delicious local dish of laxpudding at this cute little cafe in Gamla Stan (Old Town). The meal was pricey, but I’m very glad I tried this as it was extremely tasty and I had never heard of or tasted something like this before. The Flying Dog: USD $32.19 – My entire hostel room of seven people went out together on my last night in Stockholm and got some drinks. This is the only hostel I’ve stayed at where my entire dorm room went out together. While the beers here were extremely pricey (at USD $10-11 per beer), it was worth it for me because of the unique experience and memories behind the beers. Urban House: USD $18.13 – This included one sandwich and two beers. Vietnamese Restaurant: USD $19.28 – This was my splurge meal and NOT a smart spend. I was really craving Asian food and saw this Vietnamese restaurant down the street from my hostel, so I decided to give it a try. I ordered a bowl of noodle soup, which was delicious, but set me back much more than it should have. I could’ve easily gotten a sandwich at the hostel for USD $5.00. Christiania Gyro: USD $5.00 – This is a rough estimate as I paid in cash and can’t recall the exact amount. I remember it being around $5.00 for a large gyro that was tasty and more than enough food for lunch. This was a good spend, and I would recommend eating more meals here if you’re on a budget. Carlsberg Brewery: USD $12.32 – This included a tour of Carlsberg Brewery and two beers. 7-eleven: USD $6.67 – Yes, there are 7-elevens everywhere! I bought a quick snack, which probably turned into an entire meal, at a 7-eleven in Copenhagen. Astor Deep Pan Pizza / BOB (Biomio Organic Bistro): USD $19.38 – We went out for drinks on our last night in Copenhagen, and a whole night of drinks only set me back less than USD $20! No regrets on this one at all. Train Station: USD $5.22 – I bought some snacks at the train station while I was waiting to leave Copenhagen. This probably ended up being an entire meal, so it was a good spend. Even though I only spent $38.19 on admissions to museums and other attractions, this is the area where I can probably find the most items to eliminate if I were to do it all over again. 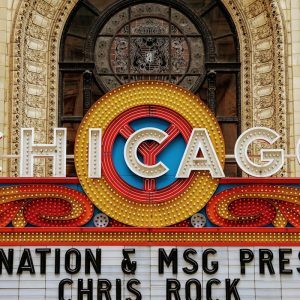 There are a lot of free things to do in each of these cities, and unless you have a particular interest in a subject matter covered by a museum, there is no need to pay a fee to visit the museum just because it’s ranked in the top 10 things to do on TripAdvisor. The only “attraction” that set me back in Helsinki was the free walking tour I took on my first day in Helsinki. I tipped my tour guide €10.00 (USD $11.05). Other than that, all of the attractions I walked into, including the churches we visited on the walking tour, were free. I visited the Fotografiska (photography museum) and the famous Vasa Museum in Stockholm. 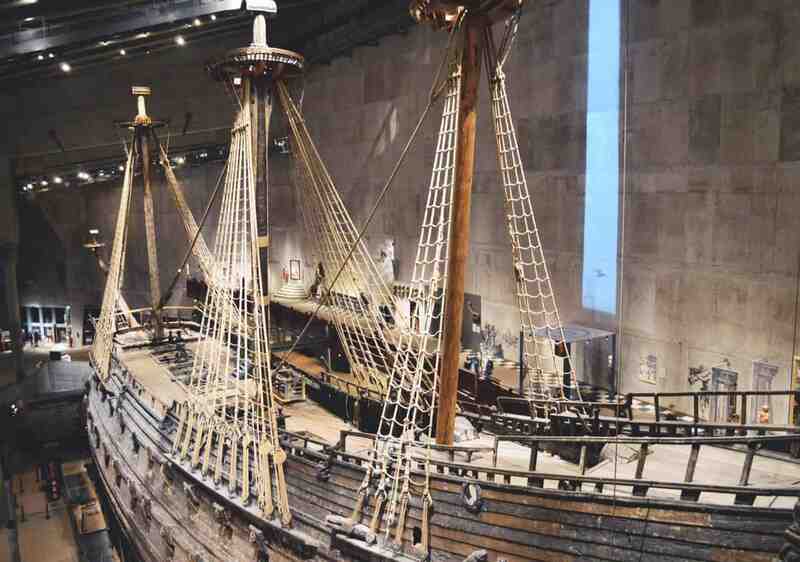 Although the Vasa Museum is one of the most famous attractions in Stockholm, I do not have a huge interest in ancient sunken ships and thus would not pay the USD $11.56 I paid to visit this museum if I were to do it again. I do not, however, regret spending the USD $10.38 admissions fee on Fotografiska, as I have a strong interest in photography and thoroughly enjoyed the museum. My biggest tip is to spend money on museums you think you’ll find interesting and not simply go off of what others are raving about. The only “attractions” I paid for in Copenhagen were the Carlsberg Brewery and the Church of Our Savior tower. I already included the cost of Carlsberg Brewery under food/drink since I received two free beers with my entrance to the brewery, so the only cost I’m including here is the cost of ascending the tower at Church of Our Savior. The entrance fee to the tower was DKK35.00 (USD $5.20). Although this is not an expensive fee, I would have sought out my panoramic views of the city from the tower at Christiansborg Palace for free had I known about it before I went to Church of Our Savior. I don’t want to categorically say I never shop when I travel because there have been a few emergency situations when I’ve had to buy clothes and other items abroad, but I do not ever choose to go shopping on my travels just to see what I can buy. In terms of souvenirs, I typically only buy postcards for my family/friends and a refrigerator magnet for myself. All of my souvenirs together on this entire trip cost about USD $10.00. I also made a random book purchase in Stockholm for USD $11.44. It kept me entertained on my trip, but I could’ve done without it or planned ahead and brought a book from home. My big miscellaneous spend on this trip was the tattoo, which cost USD $145.00. 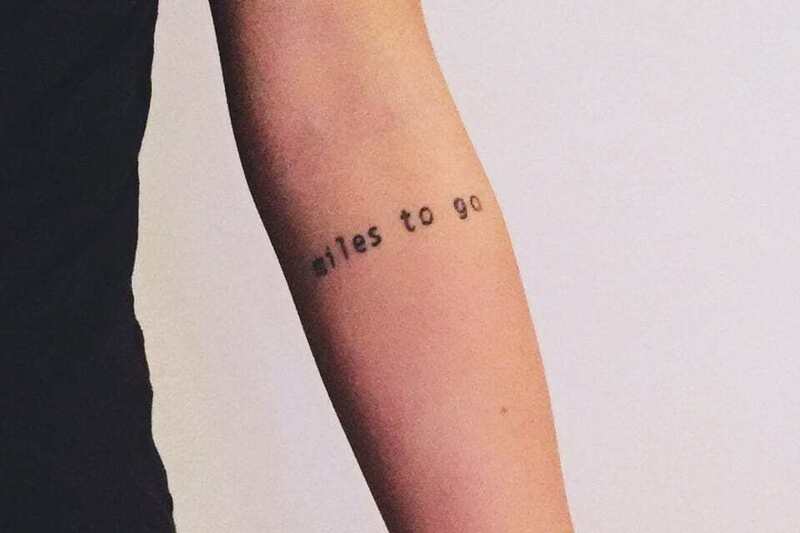 This is a bit more expensive than what I would have paid in Chicago, where I live, but like I said above, when else am I going to get tatted in a hostel? Worth it. This is such a great breakdown! 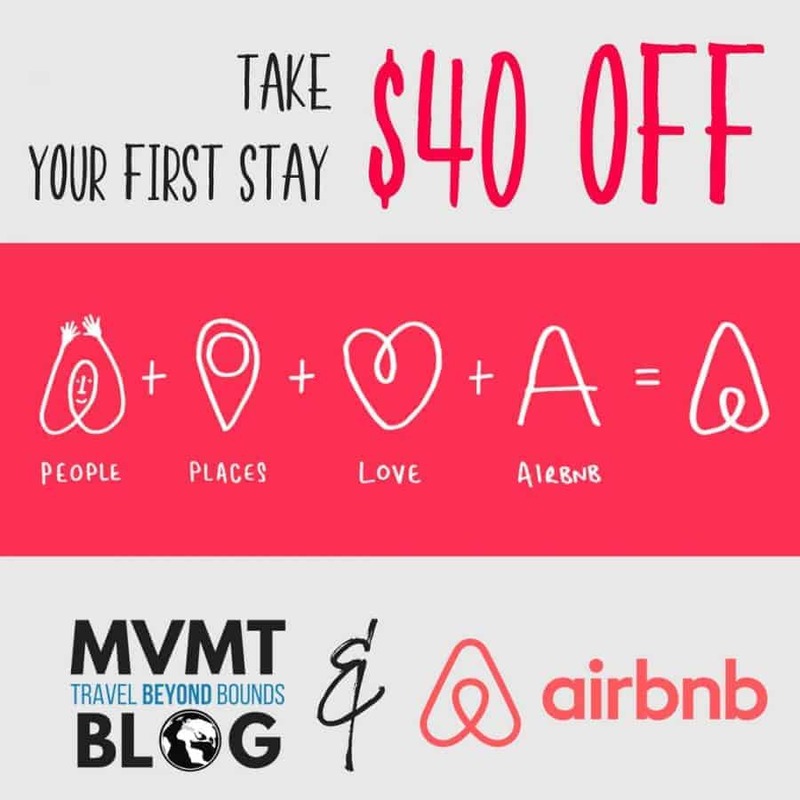 Travel doesnt have to be eexpensive! 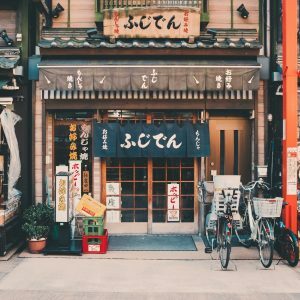 So glad I found this, I feel like a few of these places will be on the list for my next trip! Wow this is such a comprehensive breakdown of your costs! I wish flights from Canada were cheaper. I always see ridiculously cheap promos from the States but rarely from here 🙁 How was the pho by the way? How does it compared to legit Vietnamese restaurants in North America? I know Scandinavia is really expensive and that’s what’s keeping me from going but this doesn’t sound that bad. It is good to know the biggest chunk is not the actual travel from place to place! Good informative read. I can’t believe how cheap those flights were – wow! The bicycle rental was half the price of one of those flights….lol! 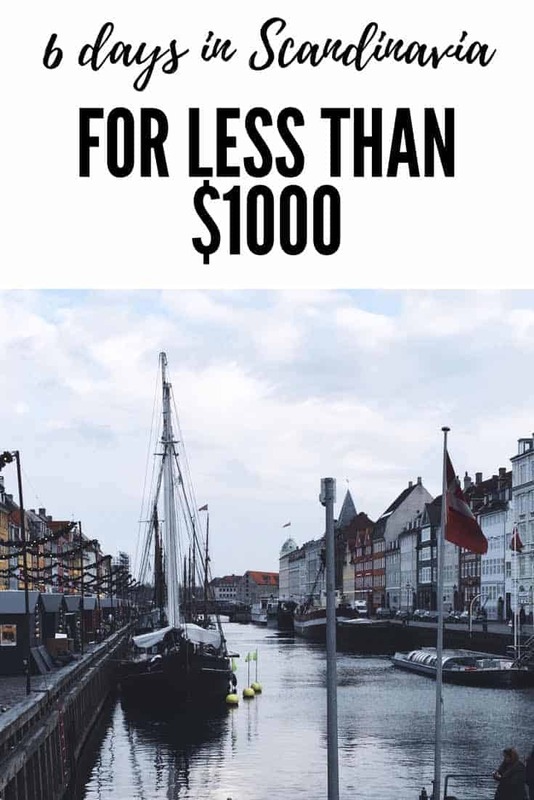 It’s good know you can travel for cheap in Scandinavia – we always hear about how expensive it is. Thanks for sharing the details. I can’t believe how cheap everything was! I always thought Scandinavia was expensive, I guess I was wrong. Thanks so much for these money saving tips! International travel is becoming difficult from my home country with the bleak foreign exchange situation but it’s good to learn how to maximize what you have. Hopefully things will improve in time! Stories like this are inspiring, not because you were able to fly to that place, but because you spend less than what most people expected. You’re proving that travelling does not have to be expensive. I haven’t found out about this place yet, and I’ll surely put this on my bucket list. Thank you so much for sharing your experiences and it really amazed me cause you spend less on the airlines. Scandinavia is really expensive and it’s a reason I never plan to explore these places. 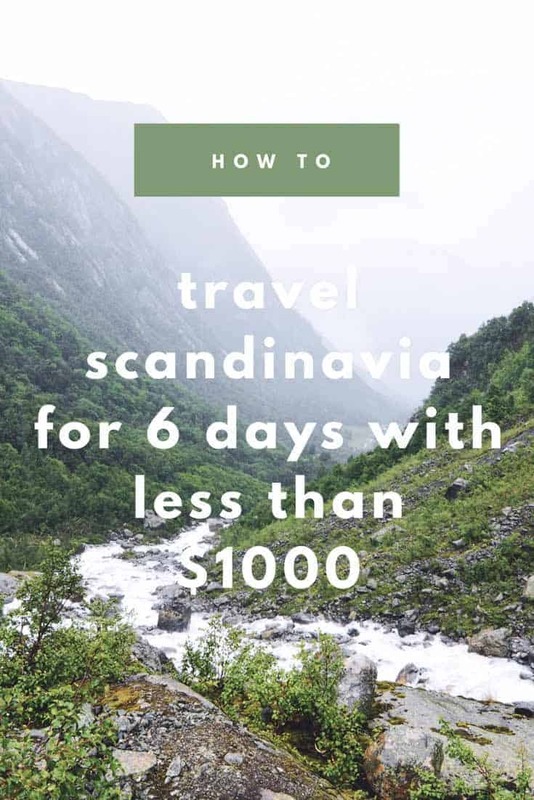 However, with your budget and saving tips and you even mentioned that you can lower it to 500 USD if you were not on a rush, then it is possible that a budget dreamer like me can enjoy Scandinavia as well. Thanks. One more addition to my bucket list now- Scandinavia it is ! Very helpful details covered in terms of accommodation, transportation, and sightseeing including the budget for each. I m bookmarking this post for my trip to Scandinavia. 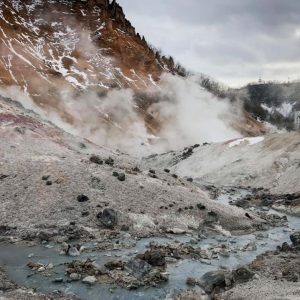 Thanks for sharing the cost of travelling Scandinavia! This is a really helpful blog for planning! Thanks! Really impressive! I have been putting off visiting Norway for a while now, because I’m really afraid of how expensive it will be. 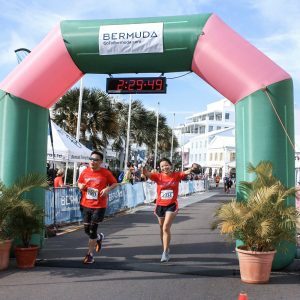 I wish there was a way for me to collect miles via credit card, somehow we don’t have that here (or I don’t know it yet). Hey Eva, Norway is definitely on the pricey end, but it’s possible to travel there on a budget as well. We’ll be coming out with a post on traveling the fjords of western Norway in the upcoming weeks and will have budget tips there. Sorry to hear about the lack of travel credit cards in your country – just curious, which country do you live in? Can’t tell you how informative your post is and how surprised I was to see how cheap you were able to do Scandinavia. Impressive to say the least! Love your tattoo and the saying behind it. Don’t know if I would be brave enough to get one while traveling but wow, what a souvenir you got and you get to look at it every single day! Nice! 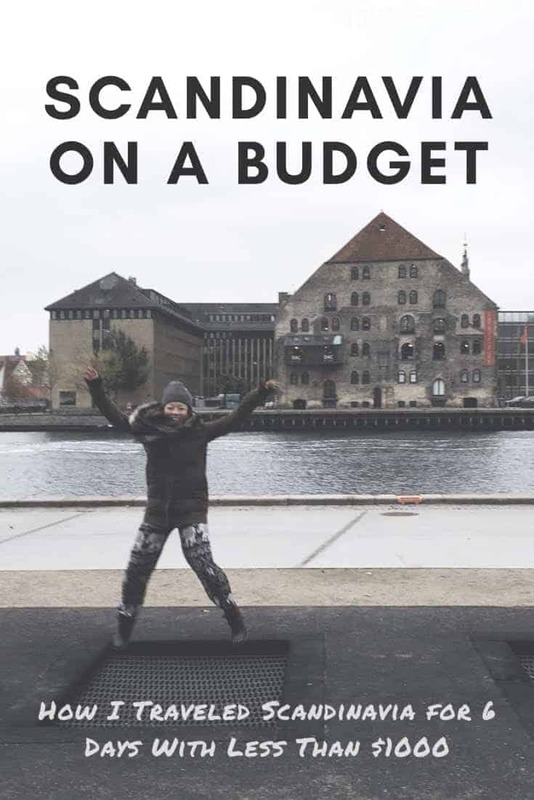 Thanks for giving us idea on a budget travel cost for Scandinavia. Coming from the Philippines, the bulk of the budget would undeniably be for airfares. Wow! I can’t believe your flight costs, but I guess points do help. Your total transportation cost were way lower with flying to all the destinations. Good planning and thanks for sharing! I’m amazed that you packed all that in into 6 days and spent so little! 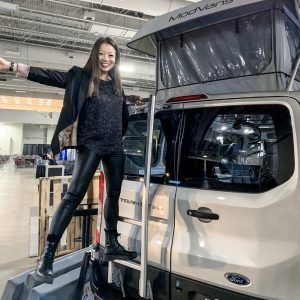 This is a really helpful post as it shows that you don’t have to spend thousands to travel. Also love your tattoo – what a great souvenir! 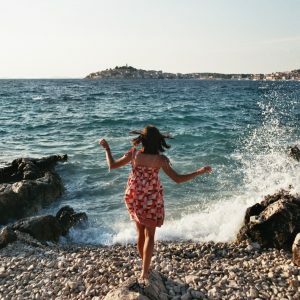 Now that is what I call a budget trip, I like how you broke down the pricing and great tips on how to travel. It’s pretty amazing to pack so much into a short trip. I often have tried and failed when I try to pack to much in a day 🙂 Nicely done and great photos as well!